With a warm family atmosphere and traditional Savoyarde styling, the Hotel Beau Regard is sure to charm anyone who stays here. 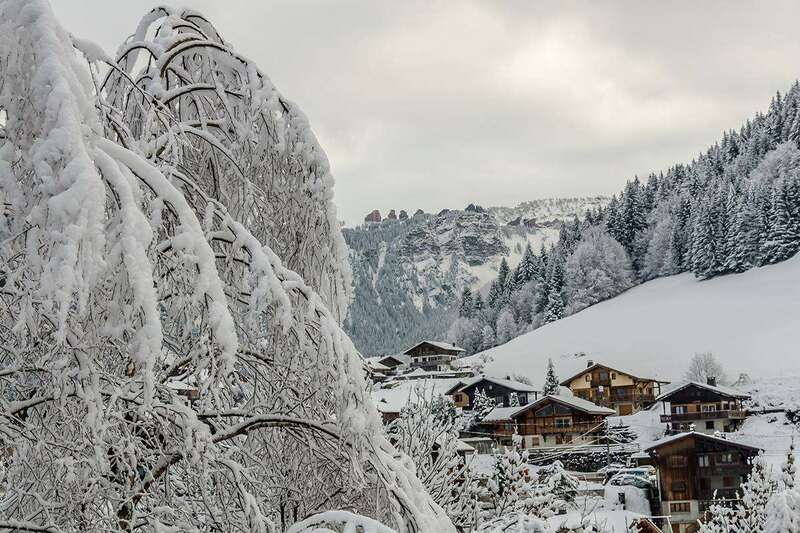 The ski lifts and resort centre can be easily accessed by taking a short walk across Morzine's famous pedestrian bridge or by catching the free ski bus from the stop near the hotel. It's location on the outskirts of the village give guests stunning views of the surrounding pine forest and nature, making it a truly wonderful place to relax. For 2 people on half board sharing a twin room with private bath or shower, WC, telephone and satellite TV. Rooms for sole occupancy are available at a supplement.